Mark Zuckerberg’s Fortune Drops $3.7 Billion In 2 Hours, Despite Facebook’s Strong Third Quarter. Facebook’s stock was up by over 25 percent when the company announced a $1.09 profit in the third quarter. That beat Wall Street analysts’ average earnings estimate by over 10 percent. The company also reported $7.01 billion in revenue, which was up by 56 percent from the $4.5 billion it reported for the same period last year. The Menlo Atherton-based company eviscerated its old line social media competition by adding the equivalent of more monthly users in 12 months than Twitter’s entire user base. 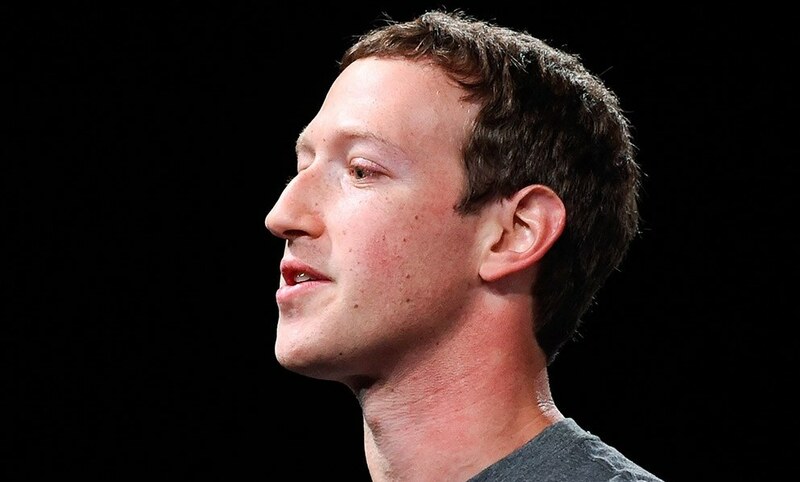 CEO Mark Zuckerberg said that the company reached 1.79 monthly users by the end of September. He trumpeted that the company’s social media interaction during the U.S. election and last summer’s Olympic competition “were huge” on Facebook. COO Sheryl Sandberg stated that advertising revenue hit $6.82 billion, due to a big surge in mobile and search. For the quarter, mobile advertising revenue jumped to 84 percent of Facebook’s total advertising revenue, up from 78 percent for the same period last year. Zuckerberg also showcased what he sees as a strong trend for more celebrities, such as athletes, to use live video to extend their brand. As an example, he highlighted that swimmer Michael Phelps had announced his retirement on Facebook Live. But then the Facebook’s CFO David Wehner began to shovel out the “not-so-good news.” He said that ad revenue growth rates will decline in fourth quarter, and that total revenue and fees growth rates will also decline. Wehner added that going forward the company will “face tougher comparables.” This is corporate speak for: Facebook ad growth may be in permanent decline. Wehner stated that to remain competitive, capital spending is expected to hit $4.5 billion in the current quarter, and expenses will be up by 30 percent overall. That means that Facebook’s free cash flow in the current quarter will be far below analysts’ estimates. The shockingly “bad news” from Wehner is that Facebook this quarter has begun changing the way the company will account for its restricted stock grant and option programs. With Facebook expecting share-based compensation to be about $3.2 billion this quarter, Wehner stunned analysts by stating that Facebook will be subject to a $1.8 billion tax bill. Lucrative stock option programs are the key for Silicon Valley companies in attracting the top tech talent, without having to pay huge cash compensation. Analysts understood that Mark Zuckerberg restructured Facebook’s balance sheet in April to maintain iron-fisted control of the company by issuing a “third class” of non-voting shares. But few analysts realized that with those shares are not expected to have much of a “tradable market,” employees are now unable to sell some shares to pay the federal and state taxes due when they receive the below-market stock and options they crave. Consequently, Facebook will now have no choice but to pay $1.8 billion this quarter to cover the 45 percent net tax rate due for this quarter on the restricted stock program.